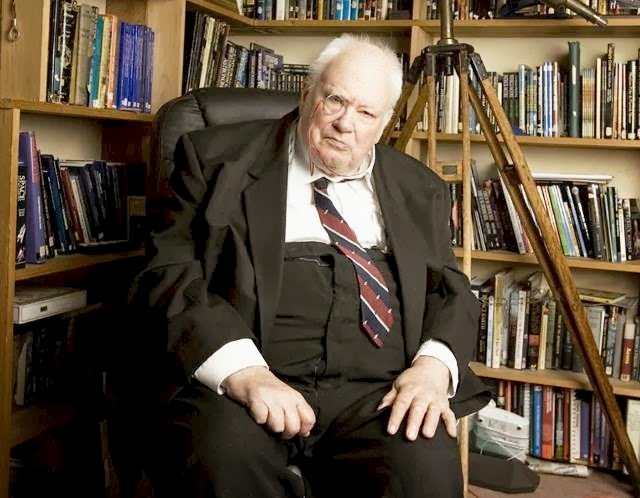 "Sir Patrick Moore astronomy centre plans scrapped, says Brian May"
Brian May has confirmed that Sir Patrick Moore's home will not be converted into an astronomy centre, despite his close friend's wishes. Sir Patrick, who died last December aged 89, said he hoped that his West Sussex home would one day be converted into an astronomy centre in his name. The thatched cottage, known as Farthings, was the filming location for The Sky At Night during the last ten years of the astronomer's life, due to his ill health. The Queen guitarist, who has described Sir Patrick as a "father figure", told the Daily Mail :"I'm afraid there isn't going to be a museum at Farthings. It hasn't worked out. "We are going to commemorate Patrick in a section of the Science Museum. It will probably be called The Sir Patrick Moore Area. Patrick was a dear friend and a wonderful man. I still miss him." The astronomer suffered from a wartime spine injury and arthritis in the years before his death. May, who has a PhD in astro physics, told The Telegraph last year that the Royal Astronomical Society had rejected the treasures left behind by Sir Patrick. Use the blog's search engine for more articles.